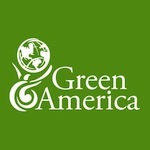 WASHINGTON, DC — Contrary to the declining single copy sales for most magazine publishers, members of the Green America Better Paper Project have seen their newsstand sales increase between 85 to 137 percent. By contrast, the magazine industry has experienced a decline of single copy sales for the ninth straight year. The green magazines received their boost from special promotions at Barnes & Noble that highlight the fact that the publications are printed on recycled paper. According to information released on August 6, 2013 by the Alliance for Audited Media (AAM), single copy sales of U.S. publications are down 10 percent for January-June 2013. But in April 2013, the participating magazines in the Better Paper promotion at Barnes & Noble saw their sales increase sharply. Sales for “Natural Health” magazine grew 107 percent; “Experience Life” grew 85 percent; “Ranger Rick” grew 116 percent; and, “Ranger Rick Jr.” grew by 137 percent. These increases are similar to those that magazines have seen in past Better Paper promotions. While special promotions like those of the Better Paper Project do help to increase sales, there is a clear and important shift happening in the broader marketplace that benefits companies and products that are green. The July 2013 “Eco Pulse™ Study” by the Shelton Group found that Americans who buy green are the most desirable target audience. In their July 16 news release, founder and CEO Suzanne Shelton said, “They make up 24 percent of Americans, are affluent early adopters and the most brand-loyal segment. They’re willing to pay more for a brand they trust, they shop frequently, and they like having shiny new ‘green’ things.” Green America’s own recently released “Big Green Opportunity” report similarly found that businesses that are authentically green are seeing an increase in sales across a number of industries. The report also showed that even during the economic downturn, green market segments saw greater sales growth than their non-green competitors.